AKIPRESS.COM - Kazakhstan’s central bank kept its key interest rate unchanged after an unexpected cut last month as a surge in prices kept inflation at its fastest since 2008, Bloomberg reported. 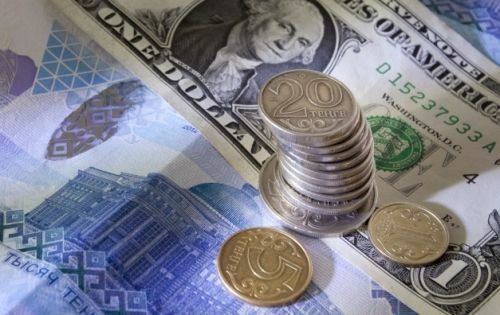 The base rate, set as the new benchmark after the central bank abandoned its currency peg a year ago, was kept at 13 percent, policy makers in Almaty said in a statement on Monday. Seven of eight economists surveyed by Bloomberg forecast no change, with one seeing a decrease to 12.5 percent. While the Central Asian economy is at risk of its first contraction since 1998, the central bank is taking a pause after annual price growth jumped to 17.7 percent in July, more than double this year’s target. “Moderate” inflation expectations among households, an economic downswing and slower price growth among Kazakhstan’s major trading partners bode well for a drop in the cost index, according to central bank Governor Daniyar Akishev. The central bank also said it maintained its rate corridor at plus or minus one percentage point. The overnight deposit and lending standing facility rates form a band around the new benchmark. After adopting a free-floating exchange rate in August 2015, the central bank lifted its new benchmark to as high as 17 percent this year to halt outflows before reducing it by a cumulative 4 percentage points in May and July. While the tenge has recouped some of last year’s losses as oil prices rebounded, the appreciation has done little to curtail inflation. The world’s second-worst performer in 2015 with a loss of about 50 percent against the dollar, the Kazakh currency has appreciated almost 12 percent since its drop to a record in late January. Although the rate cut to 13 percent decreased the cost of financing for lenders, it also opened the possibility for “a part of tenge resources to flow to the currency market,” Akishev said Aug. 4. Under these conditions, the exchange rate is set to stay at its current level unless oil prices drop below $35 a barrel and the Russian ruble depreciates to 70 against the dollar, he said.